The Oliva Nova Beach & Golf Resort facilities hosted the official presentation of the Fundación Alberto Contador’s sports structures on Monday, February 4. 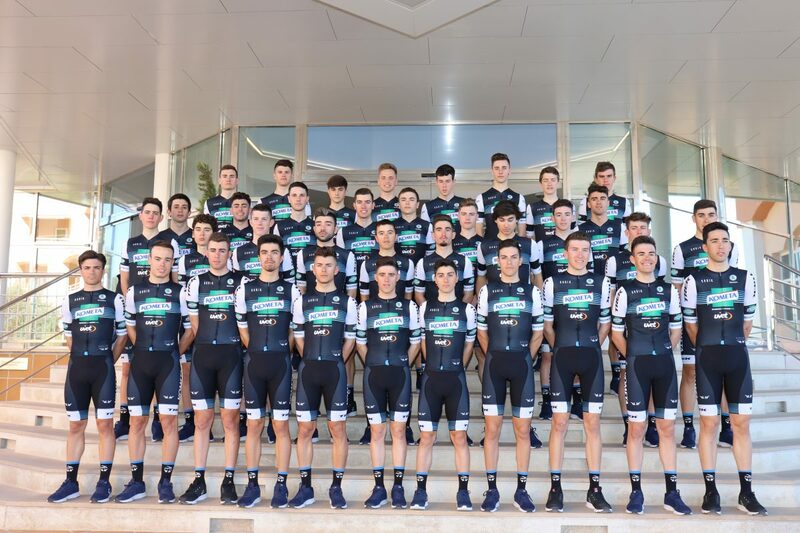 The continental, U23 and junior teams of the Kometa Cycling Team officially kicked off their respective seasons in an event sponsored by Alberto Contador and Ivan Basso, which was well attended by all the sponsors and collaborators of the project. In a ceremony led by the Navarrese speaker Juan Mari Guajardo, Giacomo Pedranzini, CEO of Kometa, argued why his company bet on a brilliant speech that captured the attention of the attendees and generated many sympathies, an appearance in which he wished the three formations the greatest sporting success and launched several proposals. “If we want to trust more in the intuition of the riders than in the computers, if we want to return the human factor to this sport Let’s begin! Our team could be the first not to use computers during races on its own initiative. If we want to promote the social function of cycling, let’s invest even more energy in Bikes for Life. If we want to prevent stroke and promote a healthier society, let’s reduce the salt content in all our products. All these initiatives will not be free. Perhaps we’ll win fewer races, or have less free time because of helping those most in need, or we’ll have less profit by offering healthy products at an affordable price… but by doing so we’ll honor our values and perhaps really change something”, concluded Pedranzini. The great host Luis Borho, General Manager of Oliva Nova Beach & Golf Resort, took his turn to show his satisfaction at being able to host this event and emphasize his commitment to the world of sport, especially cycling: “In Oliva Nova we gather the perfect ingredients for the practice of sport throughout the year. It is an ideal setting for cycling. 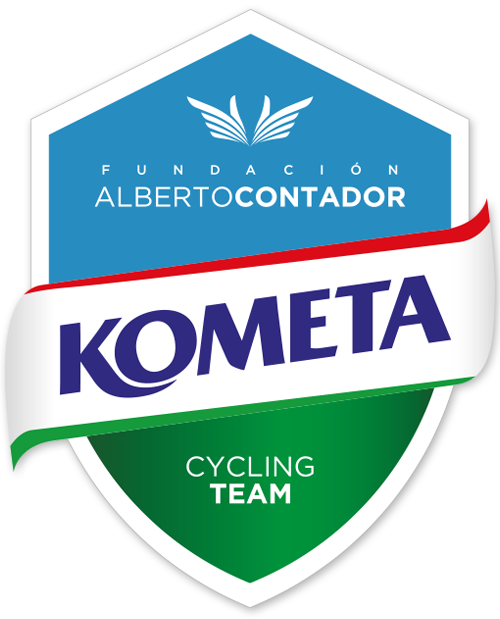 We are determined to support cycling, the Kometa Cycling Team and the Fundación Alberto Contador. We thank you for your presence in our house, we hope you have enjoyed these days and wish you good luck for this season”. Alberto Contador and Ivan Basso were in charge of closing the event with a small intervention in which they condensed the progress of this project. “It’s been seven years of hard work. We started with the youth, then with the U23 team and thanks to the arrival of Kometa, since last year we could make the leap to the continental category. There’s a lot of work behind it, but in the end it’s super-ratifying. We’ve grown little by little. This project is the fruit of a passion, a shared passion”, said the Madrid native. “We are facing another year, a special year for us after a season with some difficulties. Victories are important, of course, and how the team has behaved in all the races in which it was, where it gave everything. The message is not only to win, but to convince. But I think the most important message of the team is to fight in a time of general challenge for the world, day to day uncertain, crisis… Fighting, growing in the face of adversity. Thanks to our sponsors, thanks to the great work of Fran Contador, the team has grown in a moment of difficulty”, said Ivan Basso. 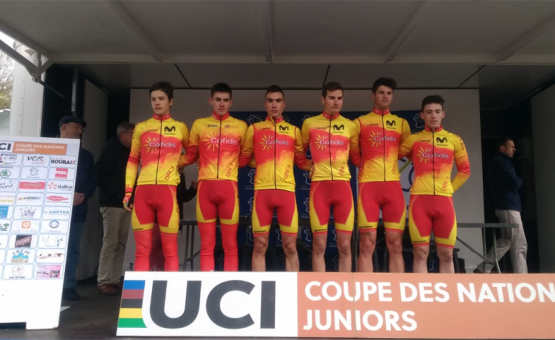 The junior team, led by Guillermo Gutiérrez and prepared by Jorge Ramos, was the first on stage. This was the first formation started by the Fundación Alberto Contador, the first pillar of an integral project that started in the lower categories and stimulated the organization of a Selection Campus and the Cycling School Plaza Éboli de Pinto. “We are facing a very exciting season”, said the Cantabrian sports director regarding a team that will be formed in 2019 by Pedro Beneit, David Quevedo, Alejandro Luna, Pablo Gutiérrez, Raúl García, Gerard Bofill, Francesc Bennassar, Fernando Tercero, José Luis Medina, Carlos Rodríguez, Javier Serrano, Juan José Rosal and Manuel Jesús Carrellán. “Everyone looks at us.  We are supported by great sponsors and that is something you can see. 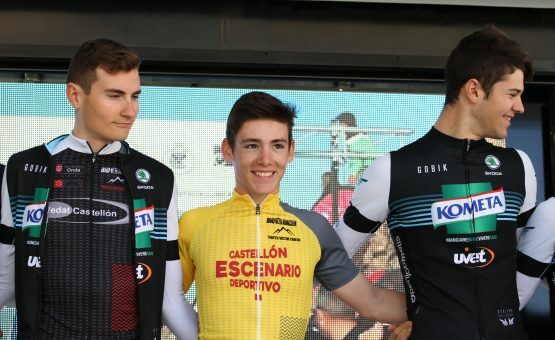 The most important thing is the education of the cyclist, that every year they are trained a little more in both sports and academics and that course after course are a reference within their level”, said Gutierrez. Carlos Rodríguez from Granada acted as spokesman for the team. “The truth is that last year was much better than I expected. Thanks to the help of the team we were able to achieve very good results. Hopefully this year will be the same. The help of a team is the most important thing and this year we are lucky enough to have a very promising team that is sure to have enough good results”. Then the U23 squad was presented, a structure directed by Rafa Díaz Justo and prepared by Carlos Barredo. Arturo Grávalos, Eduardo Pérez-Landaluce, Yago Segovia, Álex Martín, Sergio Hernández, Alejandro Ropero, Jorge Pastor, Sergio García, Joan Martí Bennassar, Carlos García, Alejandro Regueiro, the Colombian Jhon Stiven Ramírez, and the Colombians Alessio Acco and Alessandro Fancellu. “I’m sure that both my teammates and I will do our best to achieve the best results in the races, but above all we will fight”, proclaims Alejandro Ropero. “The day we lose the illusion, we will not be. This project, this team, this category, is very motivating. Sometimes I talk about it with Fran (Contador). Seeing Enric Mas, Fernando Barceló, Álvaro Cuadros and some other riders motivate us a lot. From here more riders will come out and what comes from the base looks special. That in a few years we can be one of the main cyclists in Spain is very motivating”, said Díaz Justo. “I had the good fortune to race with Alberto, we all know him. We wish someone similar could come out. But to be someone like him is something very difficult, in the end it is a case within a generation. There are several runners who point out ways, but you have to settle them. Yes, there are young people who are doing nice things, but another issue is that all that has continuity”, he says. 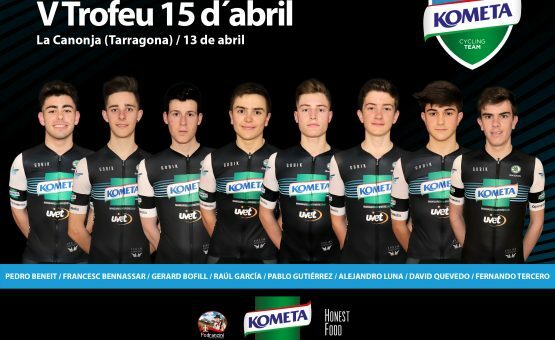 The Luxembourger Michel Ries, the Portuguese Daniel Viegas, the Italians Michele Gazzoli, Antonio Puppio, Stefano Oldani, Samuele Rubino and the Spaniards Juan Camacho, Isaac Cantón, José Antonio García, Juan Pedro López and Diego Pablo Sevilla make up the very young team of a Kometa Cycling Team that faces the second adventure in the continental category of the Fundación Alberto Contador. Michel Ries, one of the veterans of the team: “Last season was very important and left us with a great taste for the good results and also for the accumulated experience. Looking forward to this year I hope to repeat a good season, to have continuity. Having the opportunity to work with two superchampions like Alberto Contador and Ivan Basso is a great extra motivation”. “To have a talent like Matteo Moschetti in the team, with all his contribution, is something very difficult. But it is true that for this year the team is more balanced, more compensated, globally. Our first objective is to develop talent. And above all, to show a united team image. We share values with Giacomo Pedranzini. We want to be a team that runs together, ahead, that fights for everything every day. 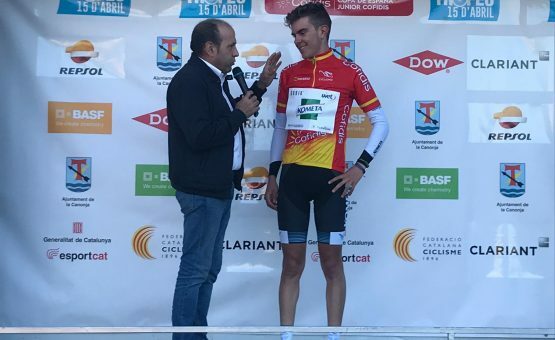 That’s our main objective, then to train cyclists and then, of course, you can’t leave the results aside”, tells Jesús Hernández, sport director. “This year we’re really looking forward to doing well. We have everything in our favour to be able to enjoy an optimum season”, said Italian Dario Andriotto. Along with the eleven continental riders, three of the Hungarian cyclists who had the opportunity to share the last two concentrations of the Kometa Cycling Team in Oliva Nova were also presented. This initiative is part of the team’s firm commitment to collaborate with the Magyar federation in the growth and development of cycling in a country of great importance to the structure’s great sponsor. The presentation also served to learn more about the new project ‘Pedaling with you’ that will promote the Fundación Alberto Contador from the hand of Cofidis, an initiative in this regard that Alberto Contador valued: “We are very grateful with this incorporation, an arrival thanks to which adapted sport will also have a presence within the Alberto Contador Foundation and that they are going to make possible”. In her turn to speak Yolanda Llorente, from Cofidis Spain, said: “2018 has been exciting for Cofidis. We have worked on many initiatives, but one of the projects we are most proud of in our firm is ‘Cofidis pedaling with you’, a project that unites cycling, with which Cofidis is especially committed to social responsibility. And it does so with a double objective: on the one hand, to promote the integration and development of people with disabilities through our solidarity Pedalón; on the other, to support the growth of the Spanish Paralympic team with the creation of our team of Paralympic promises”.